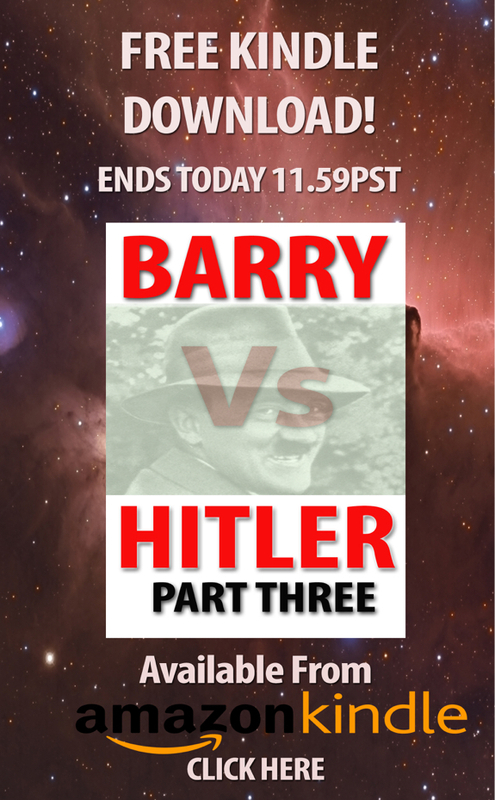 Quick one to let you know today is the last day you can download for FREE Book Nine of The Amazing Barry Chronicles, Barry V Hitler Part 3. Read about my incredible adventures across time and space battling the evil illuminati and Hitler. It's an astounding, life changing tale that I really should be charging 60 bucks a copy but because I am so rich and my money has bought me nothing but misery, I am giving it aware for FREE. then Click HERE to get your FREE copy.